In the early 1970’s the business began life from the small forecourt of a tractor dealership on the A50 between Sandbach and Holmes Chapel, when 2 employees who were father and son, Colin & Peter Iball, decided to try their luck selling their first caravan. It was not long before sales rapidly took off and in a short amount of time that ‘one’ caravan sale soon became 10. Having identified a niche in the market they decided to make this hobby into a business by starting their very own caravan dealership. The site was a small but perfectly formed set within a few acres of land located just 500 yards from where the site stands today. During the 1980’s the business quickly expanded and in 1990 relocated across the road to a larger premises. Consisting of predominantly farmland and outbuildings, the company continued its rapid expansion with the new addition to its portfolio of popular brands Swift and Abbey caravans including motorhomes as well as an all new sales showroom. There was also an exciting new development with the addition of a new accessory shop and workshop. The great ‘caravan boom’ had begun! From humble beginnings, and a carpenter by trade; Brian Talbot, Co-founder of Lunar Caravans had built up a multimillion pound manufacturing business. Cultivated by a lifetime of passion, hard graft and sheer dogged determination in the building of caravans Brian was eager for more. Leisure Sales set amidst an extensive 17 acres of farmland, and its convenient proximity to the motorway was the perfect investment opportunity for Brian, who in 2000 purchased the business along with two other co- shareholders and set about a major expansion programme to more than double its size. The superb new facilities included dedicated indoor showroom displays, a new shop facility and an extensive state of the art 8 bay workshop – a far cry from what was once a rural outbuilding! Due to its ongoing success and growth having now firmly established itself as a respected dealership within the market Brian seized his chance and purchased the Leisure Sales business outright. An additional 2nd floor awnings and offices was soon to follow. In 2009 to meet with increasing customer demands, the relocation and expansion of the Accessory shop added a significant new selling space. Now housed independently from the main building and quadrupled in space, the new store created a completely new shopping environment allowing Leisure Sales to expand its assortments of the latest caravanning merchandise benefiting the customer with choice and price. With over 70 years combined experience of working within the caravan industry between them Brian’s son Chris Talbot joined the Leisure Sales team in 2011. With caravanning in his blood, and a wealth of experience manufacturing caravan’s under his belt Chris was the ideal candidate to drive the business forward. In 1982, at the grand old age of sixteen, Chris started his career as an apprentice at the Lunar Factory and has swiftly worked his way up the ranks from the factory floor to production management. 27 years later, armed with a myriad of invaluable engineering knowledge, Chris was headhunted by Jayco Caravans in Australia. After a 2 year period over in Australia, Chris couldn’t tear himself away from the UK, and was given the opportunity of a lifetime to run Leisure Sales, and with now father and son at the helm, Leisure Sales remains a thriving family business with strong family values based around quality tradition and customer satisfaction. The fact is reflected with a hat-trick of award winning recognition, making this the third consecutive time the company has achieved Gold Status for ‘Best Supplying New Caravan Dealer’ within the industry in the Practical Caravan Owners Satisfaction Awards. The awards are based entirely on owners’ experiences and judgements, and awarded a satisfaction score for all areas of ownership, reliability and quality and are a true reflection of our loyal customer base who have been visiting year after year over the last four decades. 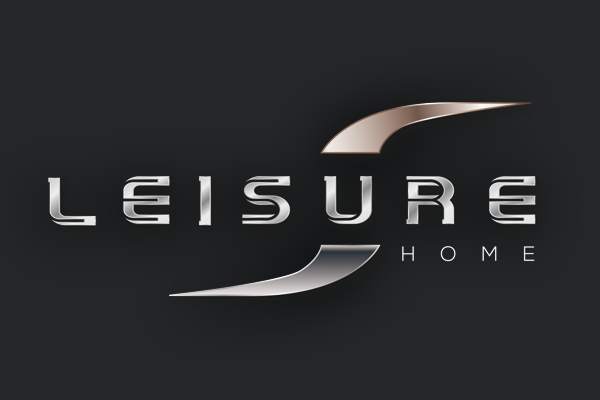 Come and explore the new 2018 special edition Leisure Home collection exclusively for sale at Leisure Sales. Due to the phenomenal response received from their first model launch in September 2015, demand for this luxury caravan range has been incredible. Boasting an array of additional extra upgrades the new 2018 model line -up has been enhanced even further, with a stylish new exterior, new equipment, and even a brand new layout for 2018. Just some of the long list of features that identify the Leisure Home range include; exclusive high-grade soft furnishing scheme, new 100 watt solar panel, new alarm & remote fob, AL-KO AKS 3004 stabiliser, AL-KO secure wheel lock receiver, microwave as standard, radio with iPod connection as standard, ATC fitted as standard, external BBQ Point, external mains point, external access door, panoramic sunroof, new Edge alloy wheels and more. The entire range is constructed with The Swift Group’s own SMART intelligent construction providing a strong timber less body frame & resilient GRP side walls ensuring long lasting good looks, securing your investment for the future. There’s 6 models to choose from with layouts to suit all lifestyles, devised to offer you the ultimate luxury holiday experience at an affordable cost – built by the Swift Group & exclusive to Leisure Sales. With a nod to the Cheshire countryside you might recognize some of the names too! Due to our on-going success & growth our Caravan Accessory Superstore has had an extensive £100,000 makeover! Already boasting to be one of Cheshire’s largest Accessory Superstore’s, the new expansion now provides an even greater shopping experience, offering a huge range of exciting new products to meet customer demands, now even bigger and better. With exciting new ranges now in, and open 7 days a week the shop stocks everything from fold-away furniture, storage ideas, kitchen utensils, televisions, audio equipment and bathroom accessories to gas and water products, security solutions and a massive range of spare parts,- a one Stop Caravanning Shop! 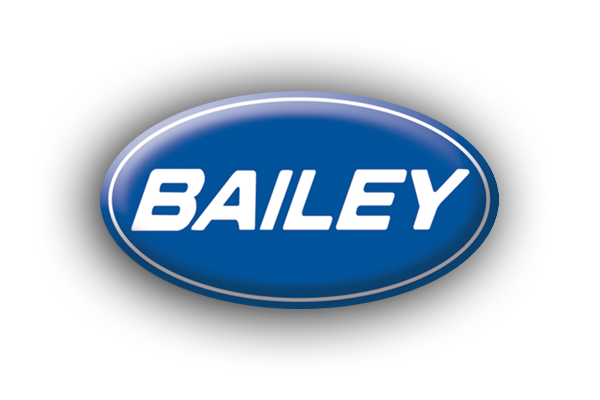 We are so proud on what we have achieved, remaining to be Cheshire’s Largest Caravan Dealership for new Lunar, Venus, Alaria, Swift, and Bailey caravans, specialising in the best new and used caravans in the North-West. 42-PITCH TOURING CARAVAN PARK COMING TO LEISURE SALES! Preparation is underway on an exciting new development to create a luxurious 42-pitch touring caravan park right here at Leisure Sales. The park will have 42 luxury pitches with water, electricity along with brand new facilities such as toilets & shower blocks and washing up areas plus a reception/information room for visitors and warden’s accommodation. Full site security by electrically operated barriers, facilities for the disabled, & well-lit tarmacadam roads and especially large pitches are other facets of the park. The beautifully landscaped park will be easily accessed from the M6, located near the historic village of Holmes Chapel. Due to open in next couple of years the park is situated in the heart of the Cheshire countryside & is the perfect base for visiting the varied activity and tourist attractions in the area. This part of Cheshire is renowed for it’s historic houses and gardens – Little Moreton Hall, Addlington Hall, Gawsworth Hall and Tatton Park are just a short drive away, as is the world famous Jodrell Bank. With activities for all the family, there’s something for everyone at Leisure Sales Caravan Park, Cheshire – the ideal location for an extended holiday or long weekend.